The Institute of Dance Artistry announces 2015 Summer Session Classes for both our Fort Washington and Plymouth Meeting, PA studios. 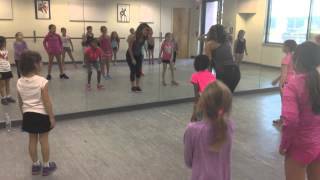 (PRLEAP.COM) April 11, 2015 - The Institute of Dance Artistry (IDA) is pleased to announce our 2015 Summer Session Class Schedule. Our Fort Washington studio features classes on Hip-hop, Street Jazz, Contemporary, Ballet, Adult Ballet and Jumps and Turns. Our Plymouth Meeting Studio has classes on Hip-hop, Jazz, Contemporary, Ballet, Adult Open, Jazz Funk and Zumba. 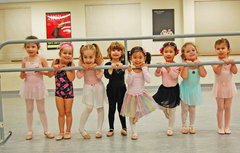 Both studios even have Combo classes for young children. The session runs from June 22nd to August 14th. All classes are either late afternoon or early evening so they won't interfere with our dance student's daytime activities. Tuition is: 1 class/week= $120, 2 classes/week= $210, 3 classes= $300. This is an excellent opportunity to study dance with a group of very talented and dedicated instructors. All IDA teachers have a degree in dance. All classes are taught by professional dancers and choreographer from the Greater Philadelphia area. Click here to register for our Fort Washington Summer Classes. Click here to register for our Plymouth Meeting Summer Classes. There are still openings for the Institute of Dance Artistry (IDA) 2015 Summer Intensive program. This Summer Dance Intensive consists of two separate one week sessions and you can enroll in either one or both. IDA's one week programs are designed for 6th grade to college age dancers. In each session students will take daily dance technique classes in various styles including ballet, contemporary, hip-hop, jazz, and tap. All classes and choreography are taught and created by professional dancers and choreographers from the Greater Philadelphia area. Tuition is $390 for a one week session with an early registration 10% discount if you register by May 1st. As a special bonus you can take both sessions 1 & 2 for $600. A $100 deposit is due at registration but is counted towards tuition. Slots are filling up quick so you need to hurry and register. For more information visit our mobile ready website: www.instituteofdanceartistry.com.